Serving - Minnesota, Iowa, Michigan, Wisconsin, North & South Dakota - Meth Lab Cleanup Company is a specialty clandestine drug lab testing and remediation company. Our core business activities include preassessment and testing, clandestine drug lab decontamination, training, meth residue testing products, regulatory development assistance and expert witness testimony. Quality Meth Lab Cleanup Services - For over a decade of service, Meth Lab Cleanup Company has seen consistent and steady growth in Michigan, Iowa, Minnesota, Wisconsin, North and South Dakota. During the period, Meth Lab Cleanup has earned an unsurpassed reputation in the clandestine drug lab decontamination industry for consistently providing quality processes, technologies, competitive pricing, and timely completion of our projects. We have successfully completed decontamination projects within all types of buildings including schools, apartments, homes, restaurants, cars, barns, sheds and garages. Meth Lab Cleanup Regulatory Compliance - Given the potential health risks associated with clandestine drug laboratories, contractor choice is extremely important. Meth Lab Cleanup Company has tested and remediated thousands of meth labs from a wide array of clients. Meth Lab Cleanup Company specializes in regulatory compliance; state, local, and federal. Meth Lab Cleanup Company has strong relationships with regulators and administrators throughout the country. The DEA offers a Clandestine Drug Lab Registry that contains addresses of some locations where law enforcement agencies found chemicals or other items associated with clandestine drug labs. NOTE: These lists are not all inclusive and the DEA does not keep this listing current. Michigan's recommended standard for meth is 0.5 ug/100cm. Minnesota's meth lab cleanup standards for meth use in a property is 1.5 ug/100cm2; for meth production, the standard is 0.1 ug/100cm2. Minnesota home owners must disclose any knowledge of methamphetamine production. There are no known clandestine drug lab decontamination laws for the state of Wisconsin. There are no known clandestine drug lab decontamination laws for the state of Iowa. Some counties/cities are regulated. South Dakota's meth standard is 0.1 ug/100cm. There are no known clandestine drug lab decontamination laws or disclosure laws for the state of North Dakota. Fro more information on disclosure and regulations, go to our Regulation web page. There are no states in the US that regulate the testing and decontamination of fentanyl laboratories, specifically. Currently, testing and decontamination is completed in accordance with methamphetamine lab protocol with attention to additional hazards. Visit Wikipedia's state and local law enforcement listing for police and sheriff's office (Drug Task Force) contact information for the states of North Dakota, South Dakota, Iowa, Michigan, Minnesota and Wisconsin. An easy-to-navigate map of local health departments is provided online by NACCHO. Find the Iowa, Wisconsin, Minnesota, Michigan, North and South Dakota contact information you need for further information on clandestine drug lab programs and requirements, if available. 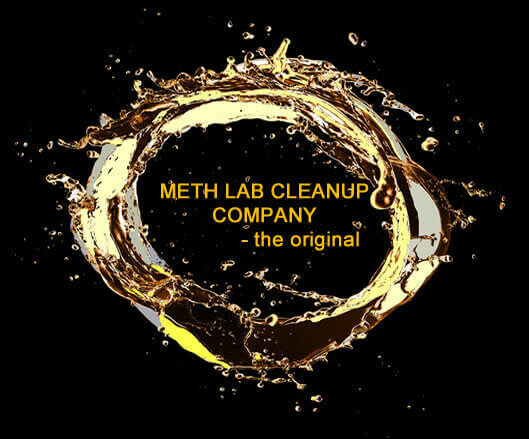 Meth Lab Cleanup Company offers three types of meth residue test kits, AccuMeth® brand kits,MethAssure®; meth test kits and a digital testing device, Black Box Reader®. With the AccuMeth® brand kits you can test for meth at levels as low as 0.1 ug/100cm2; the most recognized legal standard. AccuMeth® brand kits have been validated by both field and laboratory testing. The buffer is one-of-a-kind; a protected trade secret. The Black Box Reader® works with the AccuMeth® kits to provide a digital reading of the amount of meth detected in a sample. Results can then be downloaded to a computer. MethAssure® kit samples are sent to an independent, accredited laboratory to be analyzed for meth at levels >0.02 ug/100cm2. Sample results are available by email within 2 -3 business days of the sample arriving at the laboratory.